Quad Skates are the most recognizable and popular skate on the market. 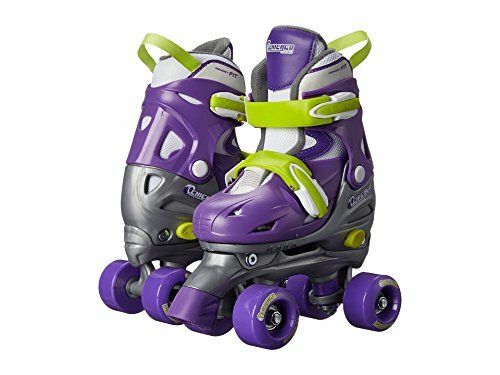 For the beginner, Chicago Skates offers the multi-adjust boot that grows with the child as they hone their skating skills. No need to change skates year after year. Once the basic skills are mastered the size fitted quad skates increase the riders performance and speed while providing comfort by a stitched upper boot and padded collar. To accommodate growing feet, these roller skates for kids feature a push button for easy four-size adjustments. Hi-top silhouette, two-piece boot construction, padded collar, and two micro ratchet buckles for better fit and control. Breathable nylon mesh inner boot for comfort and support. Expect excellent traction and stability delivered by the 60mm composite wheels with 608ZB semi-precision speed bearings. Built-in toe brakes for safe and reliable stopping power. Keep her rolling smoothly and in control! Founded in 1905, Chicago Skates has been the leading brand in the skating industry for over 100 years. Today Chicago Skates remains the classic standard in quad roller skate industry. Shop with confidence; the Chicago Adjustable Quad Skates include a 30-day limited manufacturer's warranty. Available in adjustable youth sizes Small (J10 – J13) and Medium (1 - 4). Learn to skate with inline style! Start with Stage 1 - beginners can walk in the skates with one wheel locked. As confidence and ability increase, advance to Stage 2 where the adjustment wheel rolls forward, but not back. Then it's on to Stage 3 for "freewheeling" fun! Size-adjustable to fit child shoe sizes 6-12. 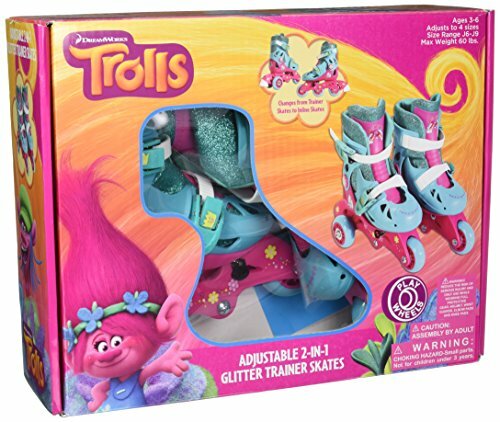 This roller skate set has just what a Trolls fan needs to get rolling! 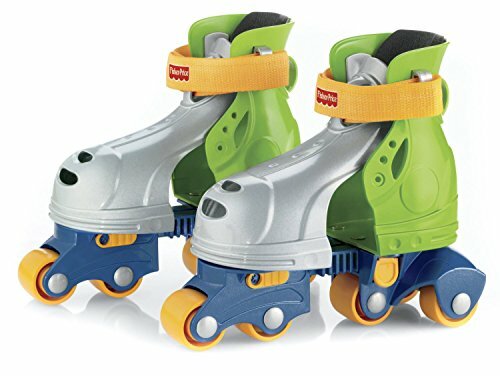 The PlayWheels Trolls Kids Convertible 2-in-1 Skates are perfect for kids at various skill levels of skating. Beginners and skate enthusiasts can enjoy the tri-wheel skate configuration while more advanced skaters can change to the inline configuration in seconds! 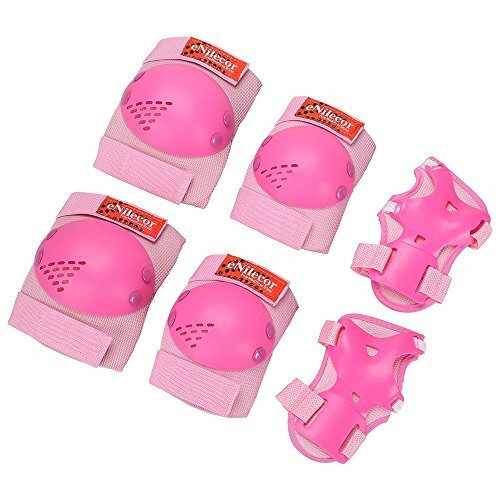 This set of adjustable skates fit and adjust for a variety of foot sizes between Junior Size 6-9 with the convenient thumb screw - no tools required! These solid convertible skates also feature simple-to-use rear brakes for easy slowing and stopping in either configuration. 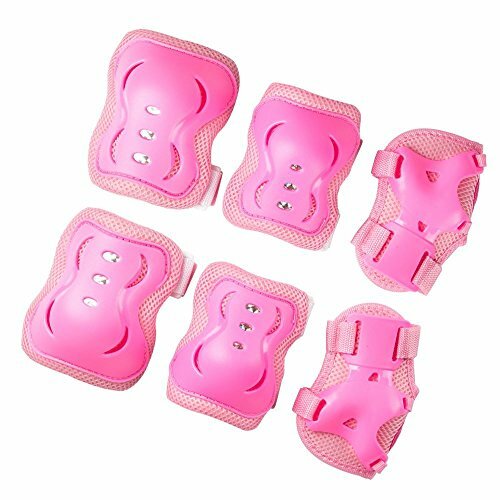 The sturdy plastic frame and strap buckles are impact resistant and stand up to heavy use, while the comfortable padded liner and articulated ankle support allow for long-lasting outdoor fun and action. 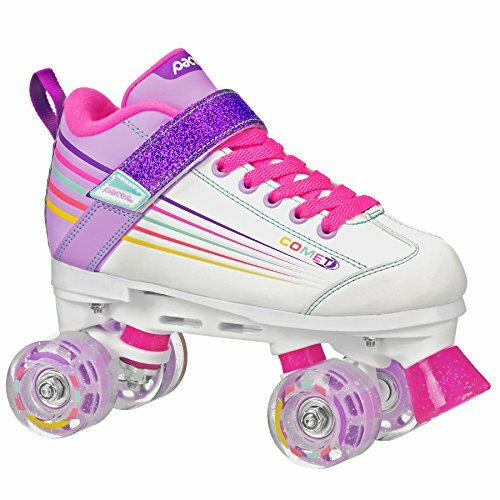 With the stylish Trolls theme, this is one set of skates that kids will be proud to wear and show off to their friends! For ages 3-6 and supports up to 60 pounds. Popular kids quad roller skate from Pacer, with light up wheels. Features include a padded collar for comfort, velcro closure for ease of use, and great kid friendly design and graphics. 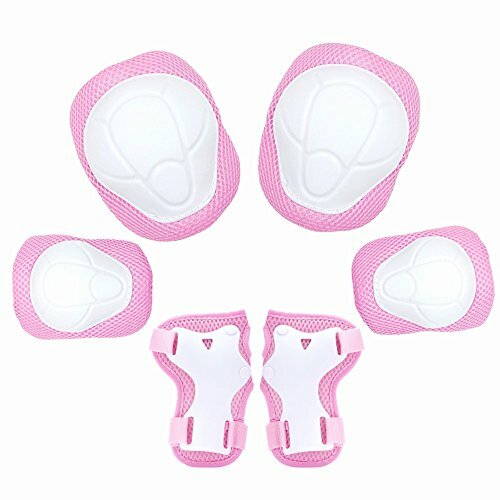 For Your Little Sports Action Hero in Training! A comfortable, durable, easy-to-wear half finger glove for little kids ages 1 - 8. 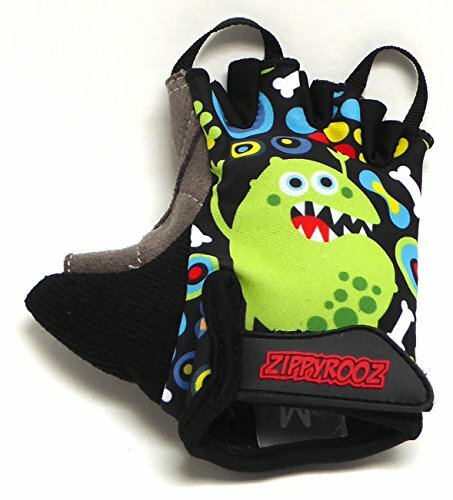 Our ZippyRooz Kids glove mimics the fit, comfort and value of adult cycling gloves, with features designed for the smallest of riders. The wide-opening makes it easy to put these on, a simple Velcro closure secures them and pull loops at the ends of the fingers make them even easier to take off. Our palm offers generous padding to reduce impact without compromising grip. If you are looking for less padding please check out our long fingered gloves. Great for use on road or trail rides or any other variety of sports! Please see size chart in the photos. Size suggestions below are for a SNUG fit (When in doubt purchase one size up!) Size Small: Ages 1-2 Size Medium: Ages 3-4Size Large: Ages 5-6 Size X-Large: Ages 7-8 Please Note The Geometric pattern & Stars pattern may have design variations, see pictures for examples of the variations Materials 55% Polyester 45% Nylon Machine WashableZippyRooz, Formerly WeeRiderz To avoid confusion with other similarly named companies in 2016 we have changed our Brand from WeeRiderz to ZippyRooz. But everything else that you love about our gloves remains the same. My daughter got a pair of roller skates for her third birthday. Here she is trying to learn how to use them. Obviously, it looks like more of a workout for mommy than it did for my daugther. 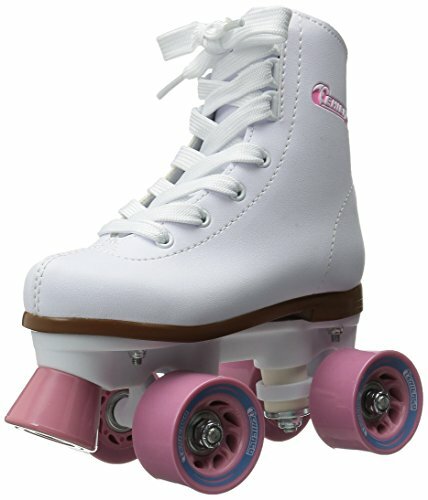 Compare prices on Girls Toddler Roller Skates at ShoppinGent.com – use promo codes and coupons for best offers and deals. Start smart buying with ShoppinGent.com right now and choose your golden price on every purchase.